it's june, yowza! 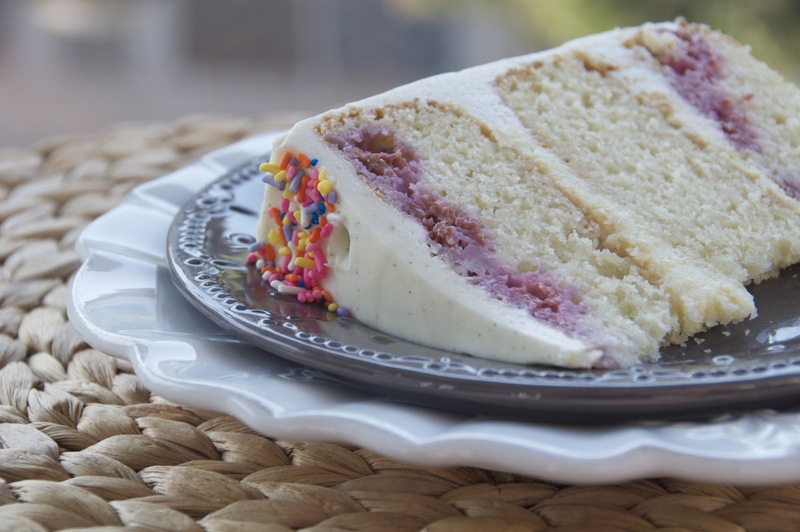 how's about a big whoppin cake to get everyone ready for bikini season? it's tall and it's heavy and tastes like pure cake flavor. i love cake flavor. homemade cakemix flavor? yes, love. 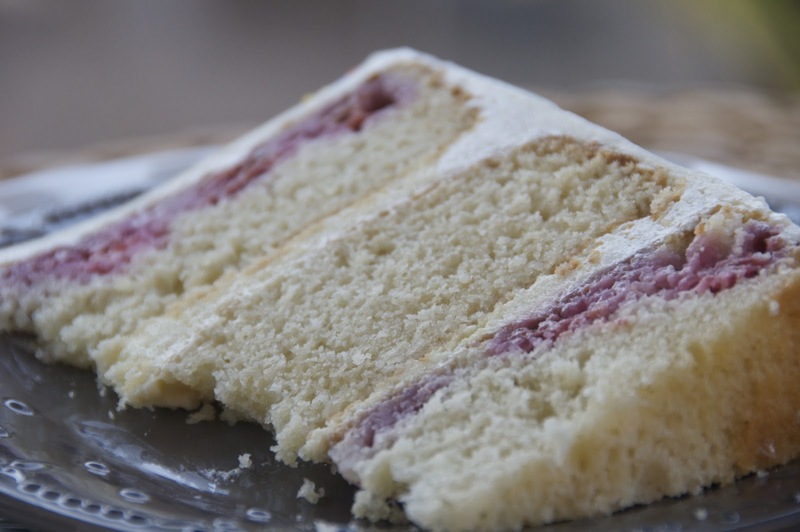 there are layers of vanilla buttermilk yellow cake with raspberries. lemon cream filling. THE lemon cream. remember? this one. and whipped vanilla bean buttercream. it's gorgeous white and bean speckled. and tastes like vanilla ice cream. and now that this cake is long gone, i wrote a song about it. 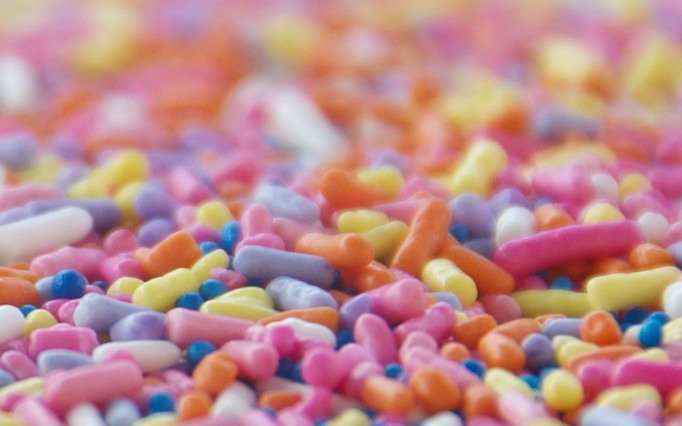 it should be sang by feist in the tune of 1234. the music video is exactly the same..interpret the rainbow people as dancing sprinkles. 1,2,3,4, tell me that you want more cake. sleepless long nights, should i dream or should i bake. oh how i wish the cake was knocking at my door, it'd have arms so that'd be weird, but i'd still want some more. oh, oh-oh, so sweet and so tart. sweetheart, bitterheart, you're not bitter, you're the best. 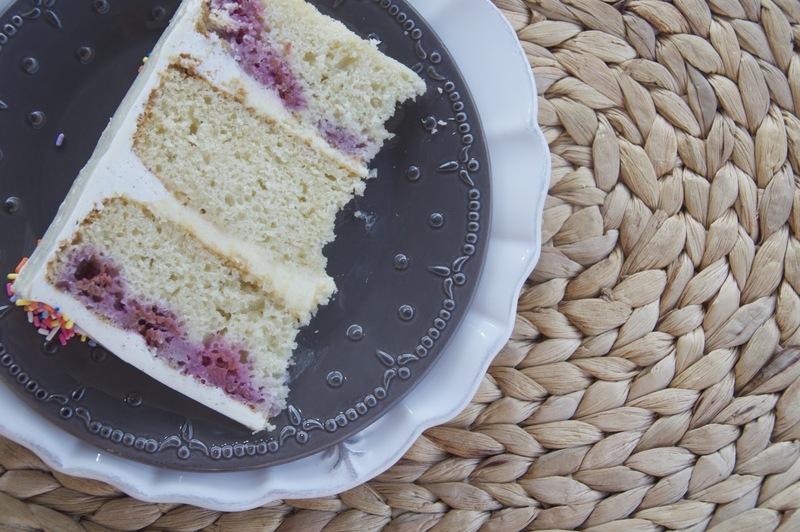 cozy and cold, eating cake out of the refrigerator, you're making a mess. oh the frosting, i want it in my eyes. rub it on your friend's face and she'll be surprised. 1,2,3,4,5,6, nine or ten, right now i am counting all the slices i had then. 1,2,3,4,5,6, nine or ten, money can't buy me back all the cake than i had then. then the guitar slowly fades away..
and the song ends with feist shedding one large tear. preheat the oven to 350. butter 3 8-inch round cake pans and line with circles of parchment paper, then butter the parchment. sift together flour, baking powder, baking soda, and salt in a medium bowl. in a large bowl, beat butter and sugar with an electric mixer on medium speed until pale and fluffy, then beat in vanilla. add eggs 1 at a time, beating well and scraping down the bowl after each addition. at low speed, beat in buttermilk until just combined (mixture will look curdled). add flour mixture in 3 batches, mixing until each addition is just incorporated. fold in raspberries. spread batter evenly in cake pans, then rap pans on counter a few times to get rid of air bubbles. bake until golden and a toothpick inserted into the center of the cake comes out clean, about 35-40 minutes. cool in pans on a rack for 10 minutes, then run a knife around the edge of pans. invert onto rack and peel off parchment paper, then cool completely. 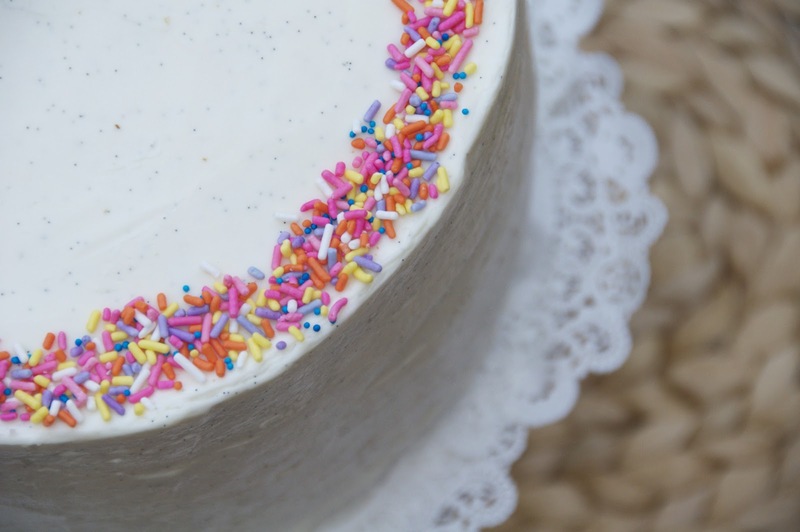 To Assemble Cake: trim the tops of the cake layers with a serrated knife if needed to make an even tops. place one layer on cake board, plate, or cake stand. fill a plastic bag or piping bag with a bit of the buttercream and pipe a ring around the edge..this will contain the lemon filling. fill the center of the ring with the lemon cream filling. 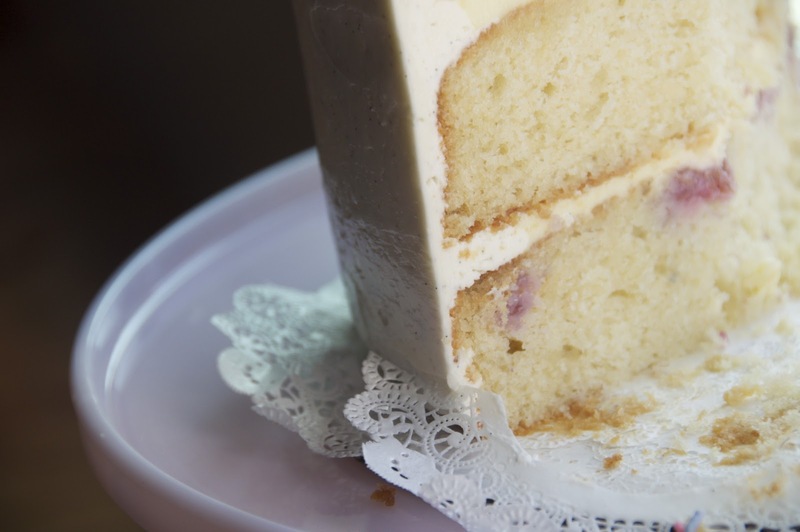 place second layer on top and repeat with the buttercream edge and lemon cream filling. top with the last cake layer. place in the refrigerator to firm up a bit. 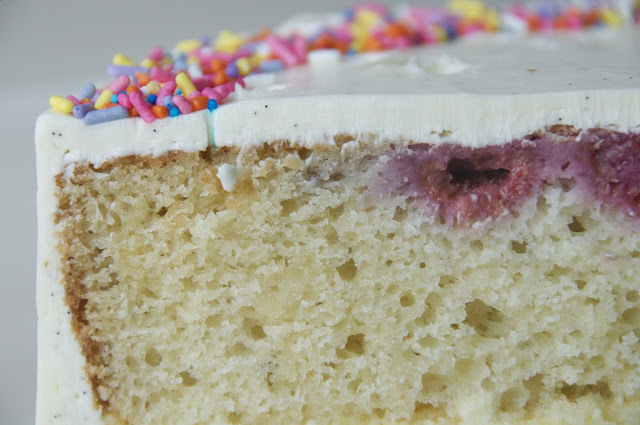 frost the cake with a crumb coat - a thin layer of buttercream that will seal in all the crumbs. refrigerate. the crumb coat will have firmed up, holding all the pesky crumbs. 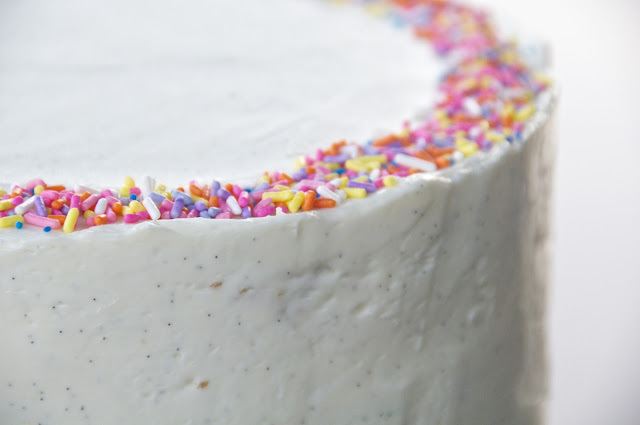 now frost with the rest of the buttercream. beat the heavy cream until stiff peaks form and gently fold into the lemon cream. cut the butter into cubes, then whip butter for 8 minutes in the bowl of an electric mixer fitted with the paddle attachment. butter will become pale and creamy. add remaining ingredients and mix on low speed for 1 minute, then on medium speed for 6 minutes. frosting will be very light and creamy. at this website is really fabulous. I wouldn't mind producing a post or elaborating on a number of the subjects you write related to here. Again, awesome web site! a awesome job with this. Also, the blog loads extremely fast for me on Safari. Link exchange is nothing else except it is just placing the other person's web site link on your page at appropriate place and other person will also do same for you. Awesome! Its actually awesome paragraph, I have got much clear idea about from this piece of writing.